The couple officially announce their joint tour. 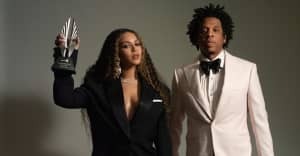 Beyoncé and JAY-Z have confirmed details of their upcoming joint tour, On The Run II. The tour is the couple embarked on On The Run in 2014. Tickets go on sale on Monday, March 19 with a pre-sale available from the 14th. Kicking off on June 6 in Cardiff, U.K., the world tour will stop in 15 cities across Europe and 21 cities in North America. The first U.S. date takes place on July 25 at Cleveland’s FirstEnergy Stadium. As of March 20, seven new shows have been announced, including additional dates in Washington, DC (July 27); E. Rutherford (August 3); Chicago (August 11); Atlanta (August 26); and Los Angeles (September 23). New dates have also been added in Columbus (August 16) and Seattle (October 4th). Tickets for these dates will be available from March 26. The tour was rumored last week and officially announced first thing on Monday. Beyoncé shared a video of her and Jay together soundtracked by Martia Aitken's "I'm Still In Love With You." Watch that above. In April Beyoncé will headline Coachella. See the full OTR II schedule below. Thumbnail image courtesy of Beyonce.com. This article was updated on 3/20/18 to reflect the newly added dates in Washington, E. Rutherford, Chicago, Atlanta, Los Angeles, Columbus, and Seattle.